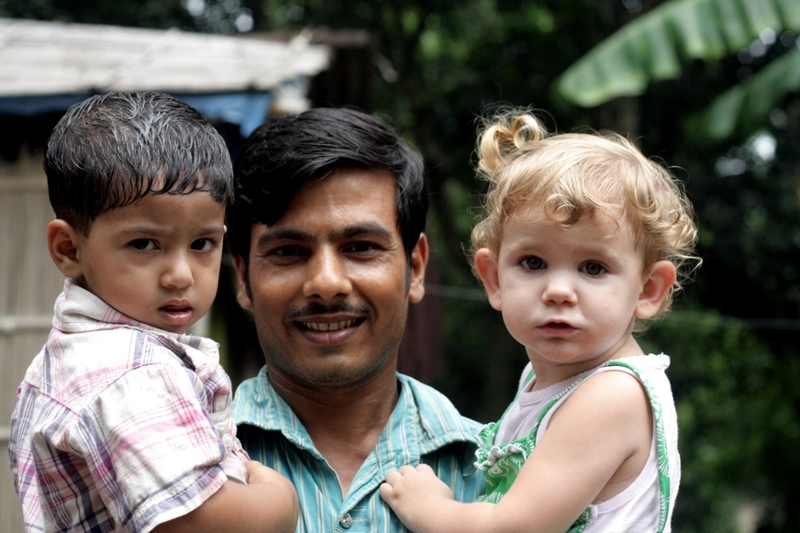 BENGALI FATHER WITH SON, AND CHAYLA eagerly posing or a photo. CINDY EDGING DOWN THE BANK ON HER way to the Nitira village home. BENGALI MOTHER AND CHILD IN VILLAGE Nitira in Munshiganj district. CHARLES HELPING HIS DAUGHTER, CANDACE along the muddy trail leading to the village homes. 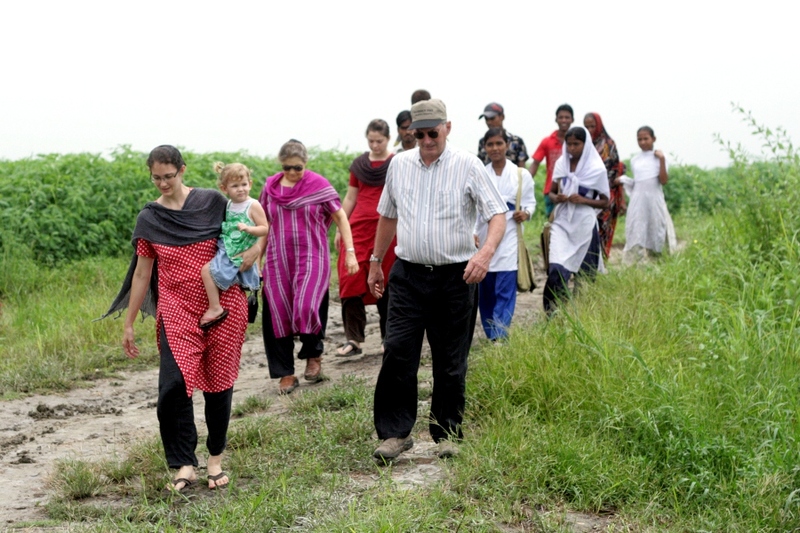 CINDY, WITH CHAYLA, HER MOM BEHIND HER, AND FATHER BESIDE HER, walking to a village near Munshiganj. Several hours of rainfall during our journey, turned the trail into mud. LITTLE BENGALI GIRL VENTURES out the window. 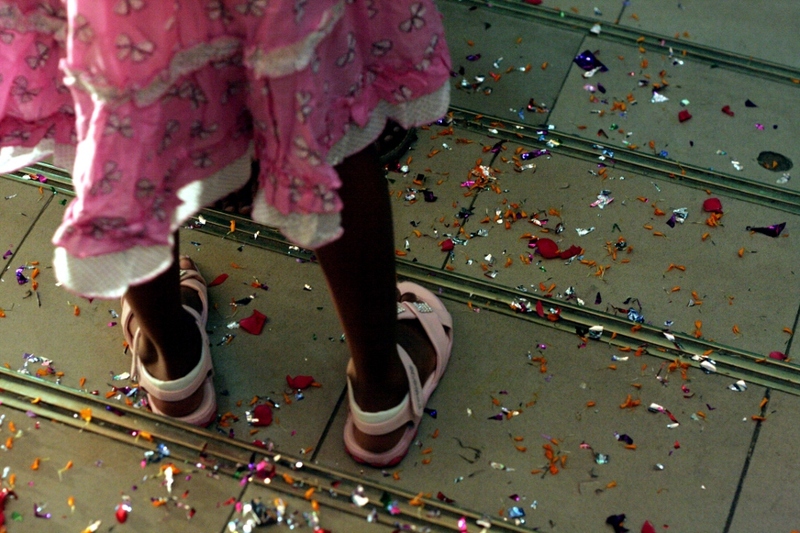 Candace, Shayla were outside playing with other children, but this girl was a little shy. CARPENTER DRILLS HOLES the old-fashioned way. When there is a power outage, he can still keep working. 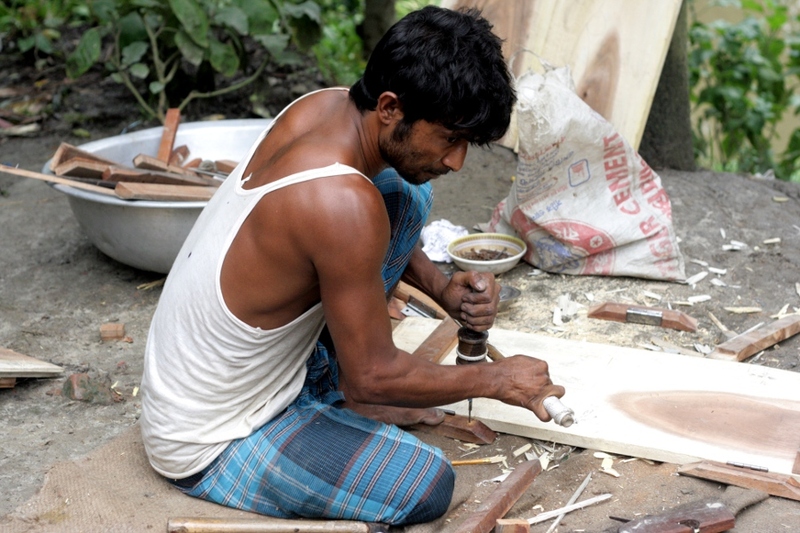 He is building shutters for the village home near Munshiganj. 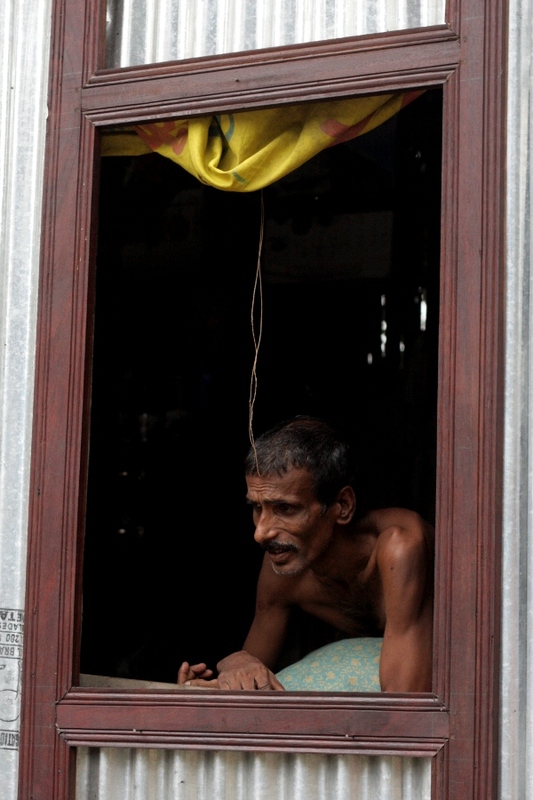 AN OLD BENGALI MAN gazes out the window of his village home near Munshiganj. 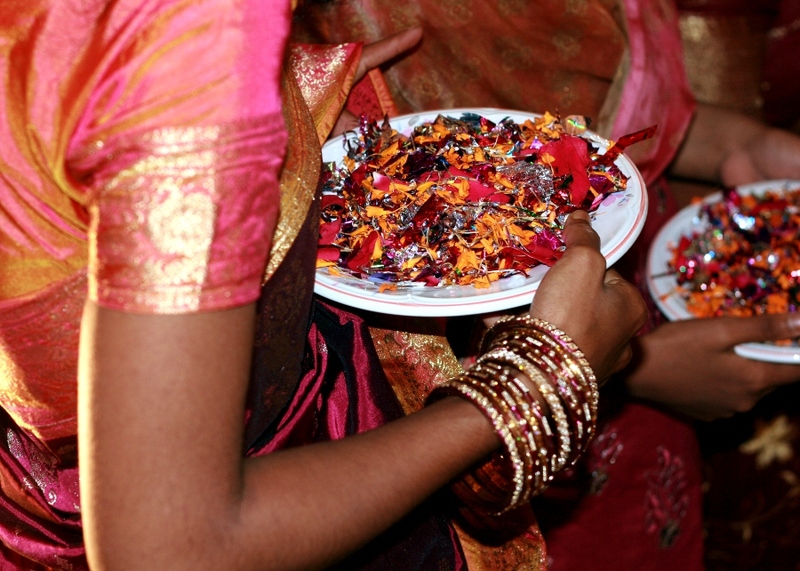 THE GROOM ARRIVED AND ENTERED THE WEDDING RECEPTION HALL, and look at what was left behind! 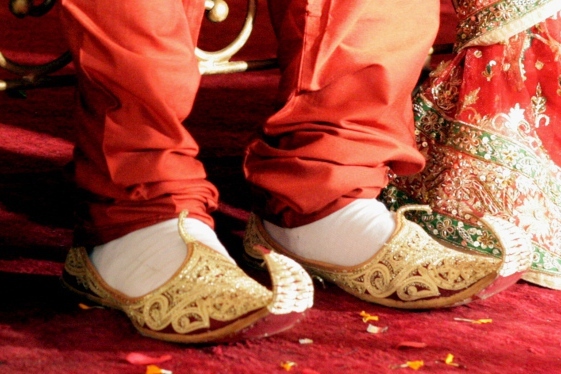 THE SHOES, ARIFUL WORE AT THE WEDDING RECEPTION, which is very typical for Bengali wedding attire. 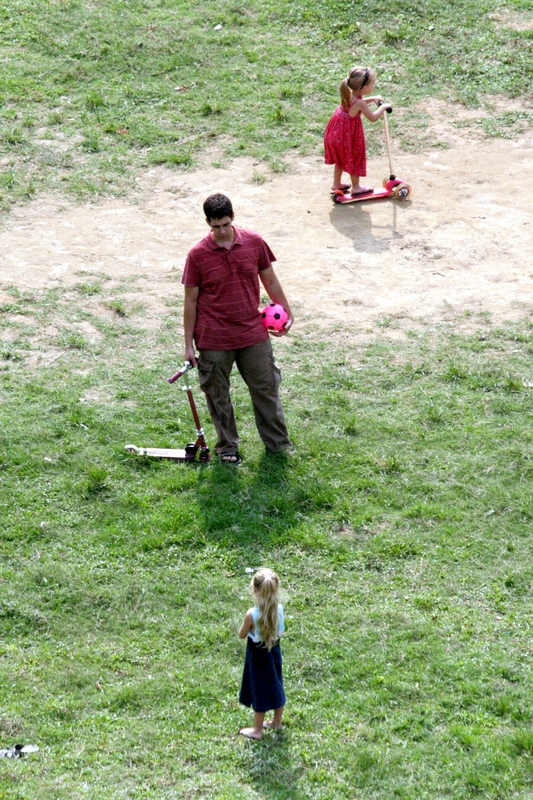 JEREMY GETS SOME “FATHER” BROWNIE POINTS for taking his daughters to the playing field in 90 degree weather. These photos were taken from our rooftop. WAITING FOR THE GROOM TO ENTER the reception hall, and toss glitter on him. They even had some left and tossed it on me after I went inside. The one young boy apologized, probably for his little sister, but I told him it was no problem.